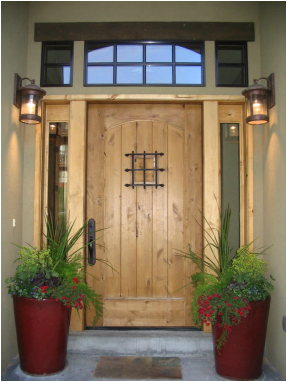 Believe it or not, front doors and garage doors make a big difference in the look of your home. They are the one thing that can make your home or business "POP" out. They accentuate the full body of your home, and provides character to building. No matter what type of home style you have, Elite Custom Painting & Cabinet Refinishing, Inc., will make any door or garage accentuate your home. Give your garage a makeover and improve the value of your property with our expert garage painting and floor painting services. Call us today for more information or to schedule an estimate. Your garage can be more than just a storage area for your vehicles; it can also serve as your own personal work-space. Epoxy floor coating or painting your garage workspace walls and cabinets can be painted to match your personality. So, if your garage could use a new coat of paint, trust the professional team at Elite Custom Painting & Cabinet Refinishing, Inc. to get the job done right. At Elite Custom Painting & Cabinet Refinishing, Inc., we go out of our way to provide the service and impressive paint job that you deserve. When you hire us for your garage painting project, we'll take the time to complete our work in a detailed, meticulous fashion and make sure it's something that you can take pride in. We want to help make your garage as aesthetically pleasing as possible. Elite Custom Painting & Cabinet Refinishing, Inc. offers the neat and professional service you expect from a commercial painter in the valley. We strive to help clients give their businesses a polished and impressive appearance, and we are able to take care of all your painting needs. We have the capacity to handle everything from large corporate offices and franchises to independent boutiques. We only use quality paints and painting instruments. Our team works hard to promptly finish every job we do. Are you looking for a commercial painter in Scottsdale, AZ or the surrounding areas you can trust to cover all the little details of your painting needs? We offer reliability and integrity to our clients.